I Reduced My Intake Of Green Tea, Here Are 10 Reasons Why! Green Tea can never have any side effect. Is this what you have been always vouching for? Well, being a passionate and regular green tea drinker, with a heavy heart, I do accept that green tea does have side effects. We wonder what else can be a replacement to the refreshing cup of green tea in the office hours? Or maybe when you have had a really tiring day, an aromatic cup of green tea that definitely boosts up your mood may not have an alternative that works best for you. But you heard it, right ladies, green tea cannot be always the best tonic for you. As we all know, every coin has its two sides, green tea too, has its side effects. But having said this, I don't mean that green tea is always bad for your health. Even if you are eating fruit in a fashion that is not good for health, it may show an adverse effect on your body. Hence, it all depends on you, how well you know the effects of a cup of green tea and how well you drink it. Why the green tea may be bad for you? The caffeine content of green tea is about 35 milligrams for every 8-ounce cup, which is considered moderate, however, it is one of the main reasons why green tea may not be suitable for you. The caffeine and catechin in green tea may lead to a sleepless night. It may also cause feelings of anxiety and upset your stomach, increase headaches in some people. The active component in green tea that is catechin, may lead to a reduction in iron absorption. If you have a diagnosed auto-immune condition, especially a Th2 dominance disorder, green tea might not be for you due to its chemical bonds. Green tea contains a chemical that has been linked with liver injury when used in high doses. As green tea contains caffeine, for lactating mothers, it is not safe, as caffeine passes into breast milk and can affect a nursing infant. The caffeine and tannins collectively can increase the amount of acid in your stomach. Hence consumption of green tea is also linked to many stomach related issues. Compounds in green tea lead to the absorption of calcium. This results in a deterioration of bone health. Experts believe that green tea supplements and high consumption of green tea can lead to liver damage and disease. They say that this is due to a build-up of caffeine which can stress the liver. The science says that there are two kinds of dietary iron: heme and non-heme. Where on one hand Heme iron is found in meat, fish, and poultry, on the other hand, non-heme iron is found in flours, cereals, and fortified grain products. The heme iron is absorbed by the body very efficiently, but the later is more difficult to absorb. Any form of tea interferes with iron absorption of the body. Hence it can lead to iron deficiency anemia when consumed in large quantities. According to research, drinking green tea and/or ingesting green tea bioactive compounds may mitigate bone loss in elderly women and men, thereby decreasing their risk of osteoporotic fractures. Drinking Green tea may increase the amount of calcium that is flushed out in the urine. Drinking excessive green tea may lead to an irritable bowel movement. It can also cause can a worsening situation of diarrhea and symptoms of IBS. While we may consider tea when we have a headache, it might worsen your discomfort. Green tea being a natural diuretic, it causes the body to lose water. So drinking excessive green tea may cause excessive urination, which in turn might lead to dehydration and electrolyte imbalances. Now when there is dehydration, the body tends to show problems like headaches, lethargy, and fatigue. Green tea has shown it’s side effect by worsening the anxiety and delusion in certain people. Women who are pregnant or are breastfeeding should be very meticulous about their consumption of green tea. If you are consuming more than 2 cups of green tea daily you may be at an increased risk of miscarriage and other negative effects. This effect may occur due to the caffeine content. moreover, green tea might increase the risk of birth defects associated with folic acid deficiency. Hence do ask your doctor before you wish to consume green tea during pregnancy. Another side effect of consuming green tea in excess is when you have consumed excessive green tea or have been drinking it too frequently, you may experience muscles spasms and twitches. Greentea has links with the restless leg as well. Green Tea might increase the risk of bleeding as it affects the action of coagulation. Green tea contains caffeine and it might affect blood sugar control too. Hence it is always recommended that if you drink green tea and have diabetes, you should be monitoring your blood sugar carefully and regularly. Very few might be aware of the fact that green tea is possibly unsafe for children due to the negative effects on the liver. Some experts recommend that children under the age of 18 years old do not take green tea extract. Children who are sensitive to even the tiniest amount of caffeine may exhibit hyperactivity. Acidity, anemia, vomiting, and insomnia may also be seen in children when subjected to the consumption of excessive green tea. How can we avoid the side effects of green tea? An old adage goes as, “A bad workman never gets a good tool”. This means if you as a workman don't know your tool (in this case, considering “tool” as “green tea”), you may not find it useful for you. Or worse, the consumption of green tea may turn out to be a bad choice. Therefore, it is imperative to know and abide by the correct way to drink green tea. Also to learn the right manner to brew the green tea, in order to fetch the maximum benefits from it and also to avoid any sort of side-effects. Avoid consuming green tea more than 4 to 5 cups every day. Add lemon juice to your cup. Some people prefer milk, but milk won’t help you absorb more iron - adding lemon does. If you drink loose tea, brew it half-strength. Add 2 to 3 grams of loose leaves per cup. Avoid full-strength tea. Avoid drinking tea with a meal or an hour afterward. Avoid drinking tea if you are experiencing a period or blood loss. 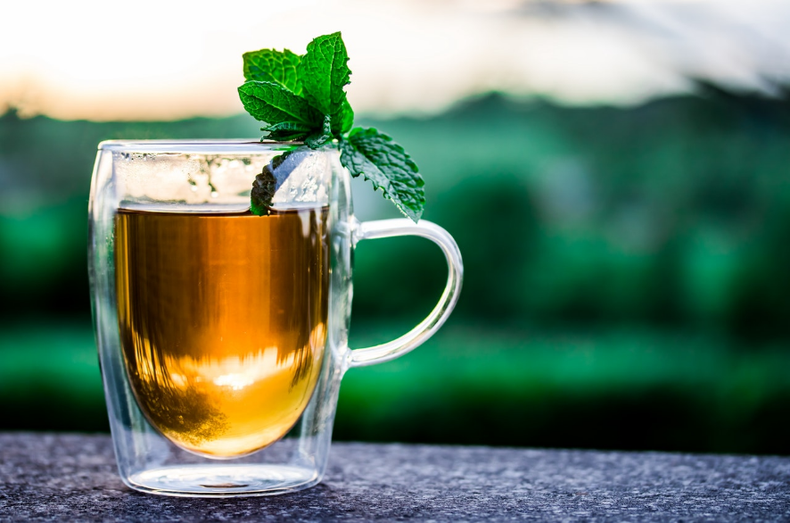 In order to avoid bone density loss, green tea or any caffeine should be limited to less than 300 mg per day (approximately 2-3 cups of green tea). If possible to make up for the calcium loss one may opt for calcium supplements after consulting their doctor. To make a harmless cup of green tea, people typically use 1 tsp of tea leaves in 240 ml of boiling water. It is advisable to consume it when it is freshly made and slightly cooled. If you are scalding tea, it can damage your digestive system. Additionally, according to recent studies consuming very hot tea can cause something as worse as throat cancer. Great . . Right said . . This also happens with me , whenever I take a cup of green tea mujhe seriously usdin neend bhot lait aati hai . I am really glad that this article has helped you all ladies. Didn't know this at all. Very informative. Thanks for sharing. Till now I knew about its benefits. Well, we should have everything in moderation I do agree.